He is Satish Girija, He and his team of eye specialists are providing free eye care facilities to poor and destitute people in Jharkhand. 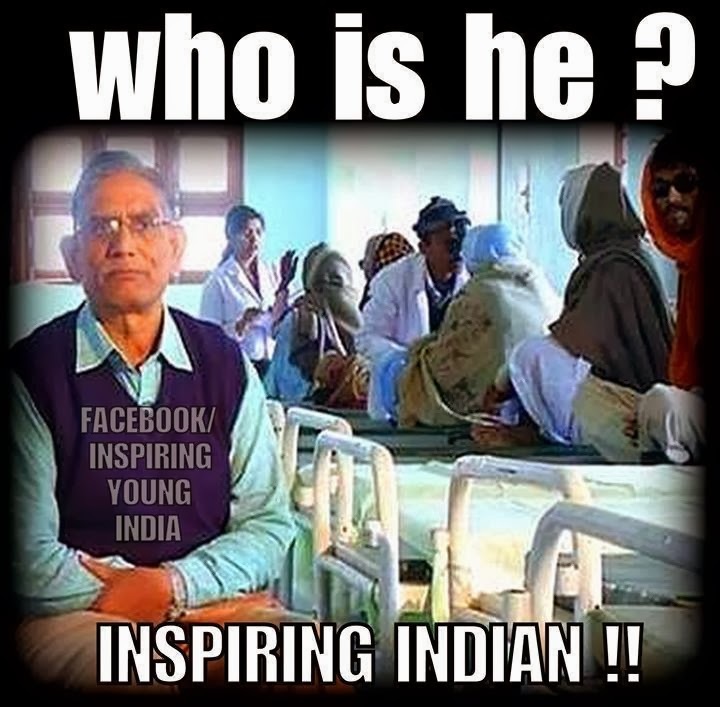 He has set up the Lok Nayak Jai Prakash Eye Hospital,The patients are taken to the hospital for free treatment. Satish Girija and his team visits around 80 villages every year and over the last 8 years has done nearly 40,000 successful surgeries. He is the real hero. He isn't celebrity, He is ordinarily human with extraordinary compassion, and empathy for humanity. God bless him with strength. I think he demands nothing from us but some respect and a little bit recognition.